Tomato paste is one of those essential ingredients, and a pantry just wouldn’t be complete without at least one can of it. At least I know mine isn’t. But when talking to friends about my great love of this staple, the question I seem to get more often than not is: What do I do with the can after I’ve opened it? Starting today, I’m here to bring you the best tips, recipes and advice for using your leftovers. As a big fan of cooking, and an even bigger fan of not wasting food ever, it’s a topic I am quite passionate about. Are you ready? Let’s have fun with leftovers! I’m sure you’ve been there, too: You open a can of tomato paste to make your family’s favorite Sunday stew, use a tablespoon or two and put the can in the fridge where it will remain until it starts to grow things that you’d rather not feed your family. But what do you do with it if you have no plans to make the same recipe anytime soon? First things first: You need to know the basic way to cook with tomato paste like a pro. Why do chefs and foodies like me love it so much? It’s because the can of concentrated tomatoes adds a unique tomato flavor, body and complexity to any recipe I add it to. It’s not about adding liquid; instead, the tomato sauce is a flavor builder. It adds depth to any recipe, which is precisely why I always keep it around in its canned form when I don’t have time to make some myself (and, seriously, when does anyone ever have time for that?). Here’s what you do: Add the tomato paste earlier in the cooking process, no matter what kind of recipe you’re making. Typically, I put a large pan on medium-high heat, add in some olive oil, chopped onions and garlic. I let them sweat, about five minutes, and then add in my tomato paste. I then let it “brown” in the pan, and add about half of the spices I plan to use in the recipe. This takes less than five minutes and adds a really rich flavor to your dish. Then you just have to deglaze your pan with some wine or stock, and you’re on your merry and delicious way! I use this method to make a variety of dishes — some of which call for tomato paste and some that don’t. I simply use it because I like it, and because I know it’ll add a lot to my dish. 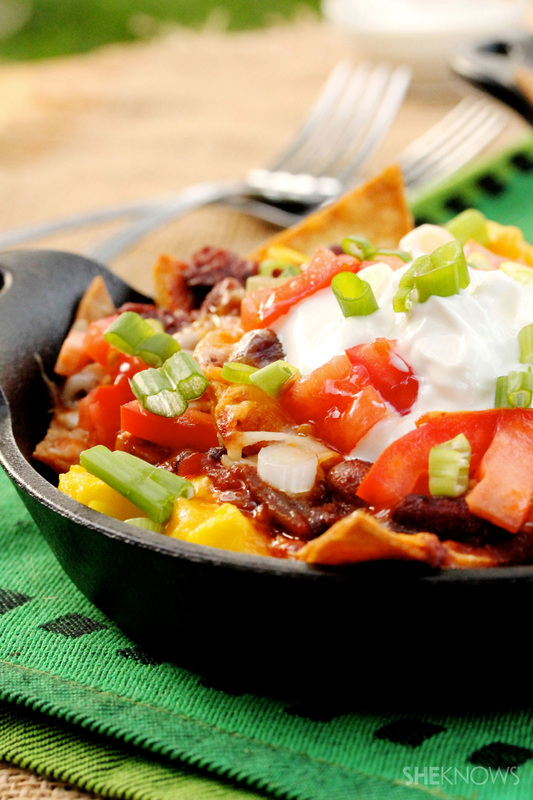 I love using it in beef stuffed bell peppers, in my chili con carne, in some cheesy beef and corn enchiladas, in Mexican breakfast nachos (aka chilaquiles) — yum! 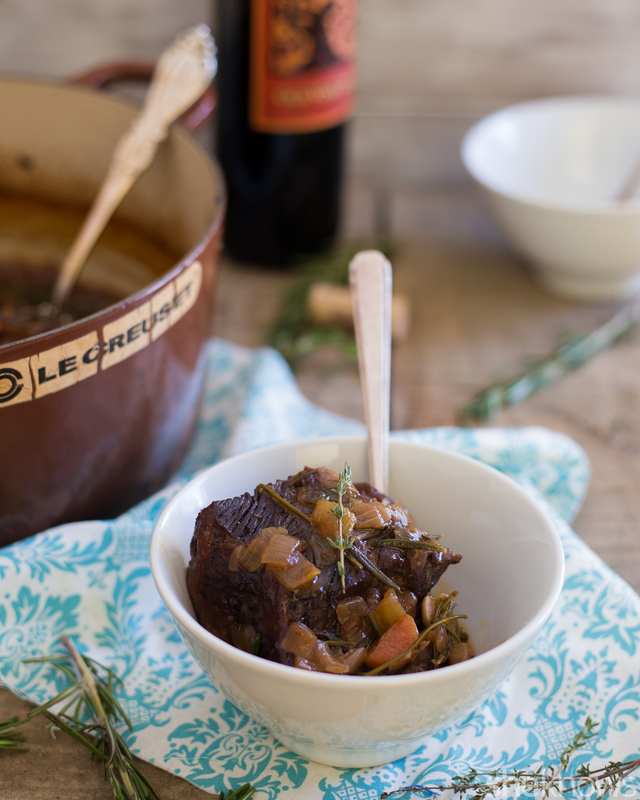 — and in my favorite red wine-braised short ribs. But you don’t have to stop there. 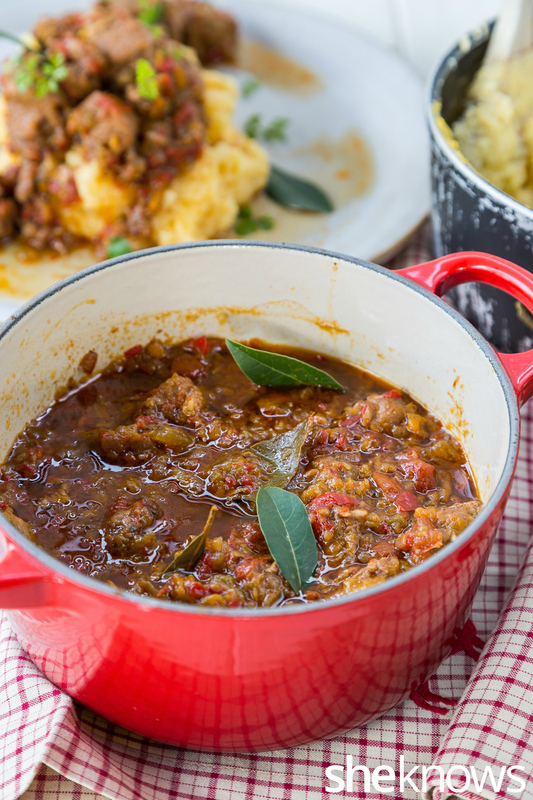 The beauty of having some tomato paste in your cupboard, in your fridge or in your freezer is that it can add something to many dishes, whether the recipe specifically calls for it or not. 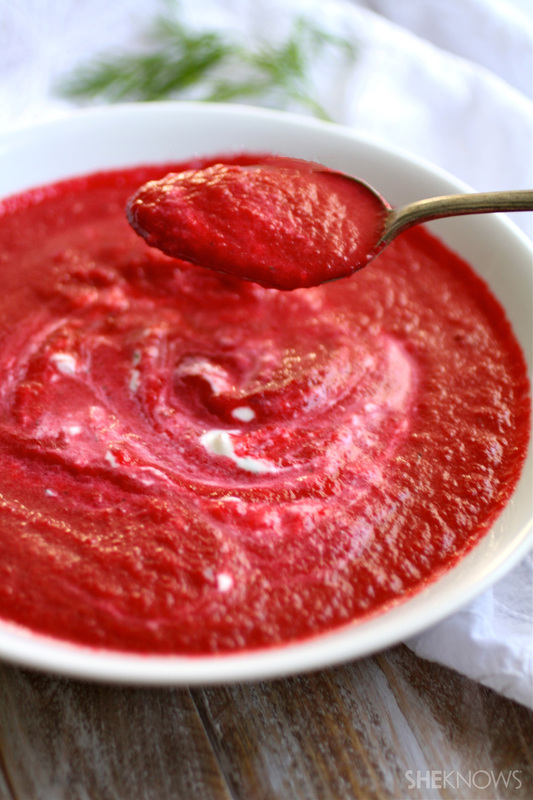 I’ve thickened my pizza sauce with tomato paste, added a small dab to salad dressings to kick up the flavor, thrown some into a creamy borscht or even when I’m making baked beans. I’ve even heard of friends adding it to their lentil soups, beef stock, curry, meat sauce and shrimp cocktails. My favorite, though? Use my browning method above, add a dash of hot sauce to taste and then simply top with a fried egg or two. Sometimes I add some beans or cheese, too. It’s basically an easy no-thinking-involved version of popular middle eastern poached egg dish shakshouka (or any of your favorite breakfast egg skillet dishes). Simple, delicious and a great way to use up that leftover tomato paste. The second most important part of having leftover tomato paste, though, is proper storage. 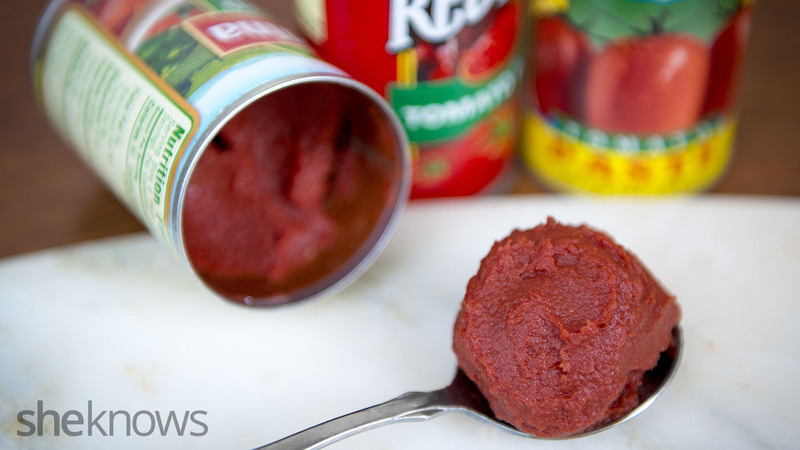 Here’s a tip: Don’t store your tomato paste in the refrigerator! For years, I’ve been a huge proponent of storing leftover tomato paste in the freezer. There are two basic tips that I love: Cut open both sides of your tomato paste can, wrap the can in plastic wrap and freeze it. The next day, carefully push the frozen tomato paste cylinder out and slice it into chunks. Rewrap them in the plastic wrap, and toss back in your freezer. The other method, which I’ve used more recently, is even simpler: divide your tomato sauce can into exactly 1-tablespoon-sized dollops on a baking sheet or tray. Put them in your freezer and, once hardened, simply place your perfectly portioned-out tomato paste chunks into a plastic bag or container. It’ll keep this way for a while, and don’t worry about freezer burn. When starting a new recipe, simply grab one of your frozen tablespoons and start cooking. Now wasn’t that easy? Now you can rest easy knowing that your tomato paste will never go lonely and wasted again.